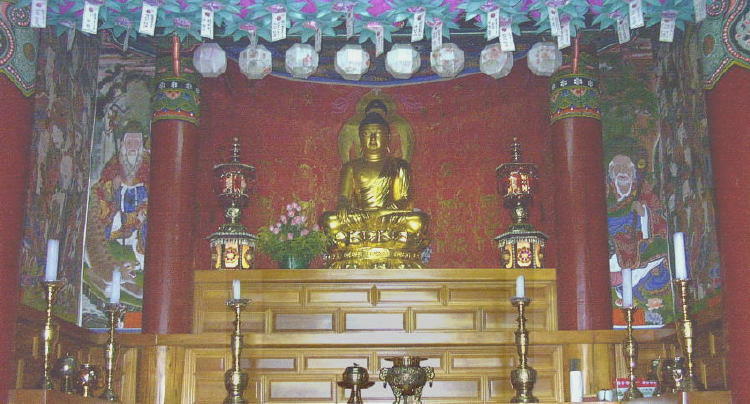 As you can see above, in the Main Hall of this charming temple Sakya-muni Buddha is flanked by tall thin paintings of San-shin & Dok-seong instead of the customary Bodhisattvas! In a thousand Korean temples, I have never seen this before. It certainly adds to the modern trend of giving San-shin the status of an enlightened Bosal [Bodhisattva, a Buddha-to-be]. 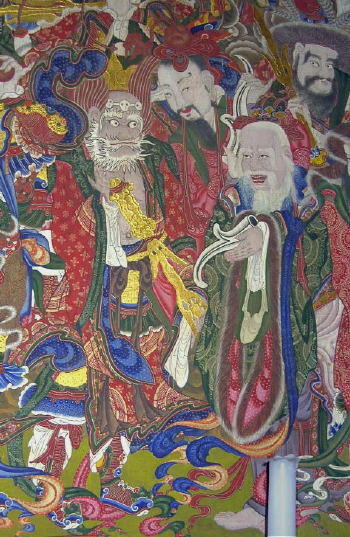 He holds a thin crooked staff and a ginseng root, while being served tea. 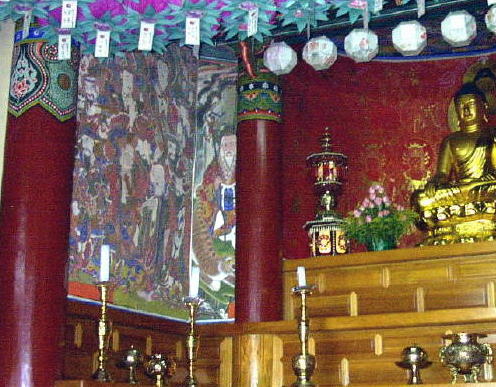 Right next to San-shin on the left wall, as can be seen below, is the Shin-jung painting -- and it too is unique. The Yong-wang wears a bracelet of skulls around his forehead, like the Hindu destryer-god Kali, and holds a Vajra-sword like the Dongjin-bosal [Skanda-deva, leading guardian of Buddhism] usually does. Meanwhile, San-shin holds a branch of white coral, always the scepter of a Yong-wang! (the royal official behind him holds one too). Utterly strange -- and only on Jeju-do. 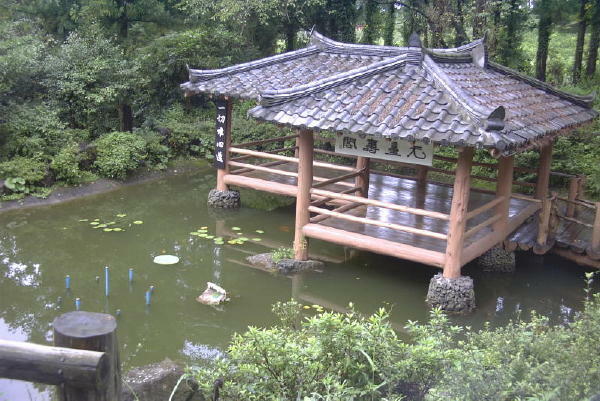 Namguk-sa is in a lovely thick forest, and fronted with this new lotus-pond and meditation pavilion.